A hot wind fled lightly across a startlingly clear blue sea. 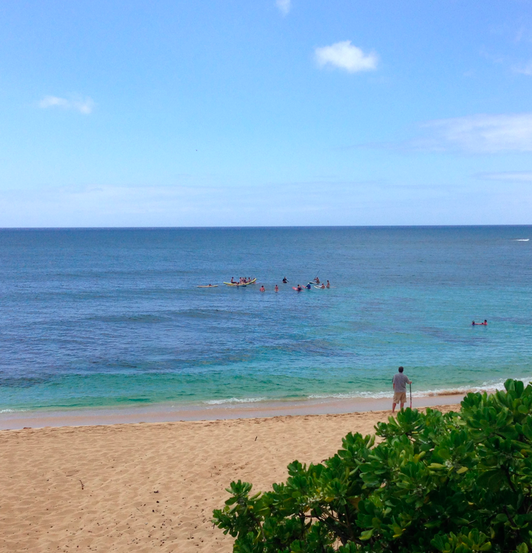 The weather was deliciously tropical and something for which vacationers pay dearly to experience in Hawaii. The week-long threat of Hurricane Guillermo was gone. The setting was tailor-made for a Hawaii daughter returning home for her last aloha. 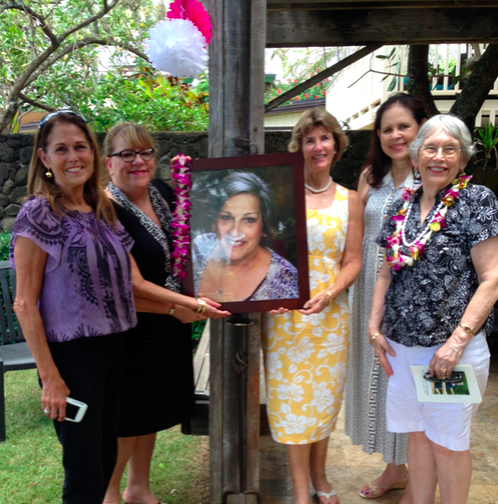 POSING WITH ANN’S PORTRAIT FOLLOWING THE SERVICE are Monica del Piano Campanis, Mary Jane Markoskie, Nancy Dew Metcalf, Lynne Gartley Meyer, and Ann’s mother. The drive provided an opportunity to reconnect with Monica and Mary Jane as we traveled to the North Shore. 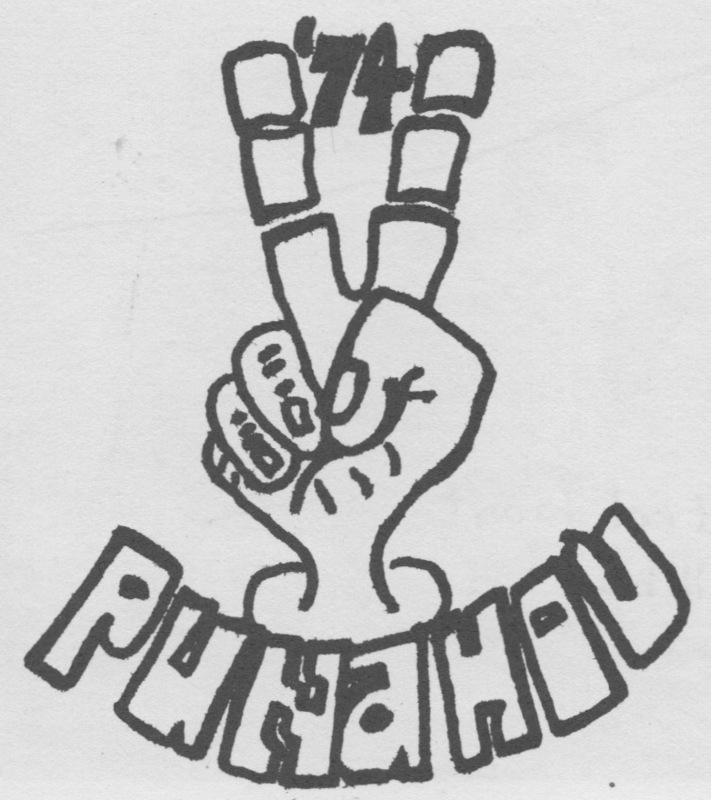 Both remembered younger days and carpooling with Ann to Punahou; each was a part of the Punahou74 Kailua gang. Ann had made the trek across the Pali since fourth grade. Monica told me how she had come to Punahou as a freshman from Saint Anthony’s School. PADDLE OUT as seen from the Wilkinson home. .
We easily found the Wilkinson home. Parking was congested but, once you walked through the front gate, one hardly knew that you were located beside one of Hawaii’s most popular beaches on a sunny weekend day. Looking out upon the thick sand and sparkling water, I could not imagine a more lovely place to say goodbye to a departed classmate. This was the final remembrance: An April service had been held in Colorado. Ann’s family, including her parents, four siblings, husband, and children were now in Hawaii to bring Ann home. 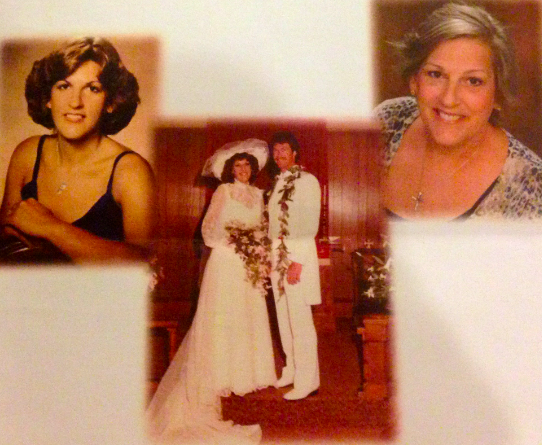 SCENES FROM A LIFE: Ann throughout the years. I learned during the service of Ann’s tenacity during her six year fight against breast cancer and how, wanting to see her son married, she ensured that she blessed the union with her presence. Raindrops cooled us twice during the event. Tears from the clouds. After a delicious lunch enjoyed upon the home’s expansive makai porch, a paddle out was made to commit Ann’s ashes to the sea. With a nod to technology, a drone hovered overhead to film the event. We had seen such views from the aircraft during a video shown during service. A beautiful remembrance in many ways. Aloha, Ann. A hui hou.